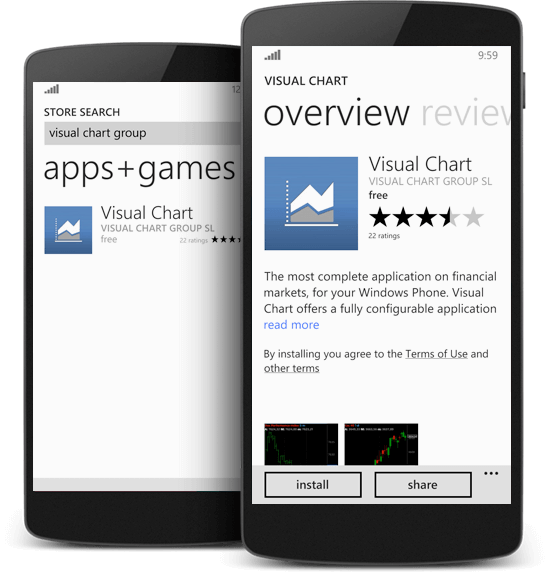 Visual Chart App has a very intuitive interface that will ease the work with financial markets. 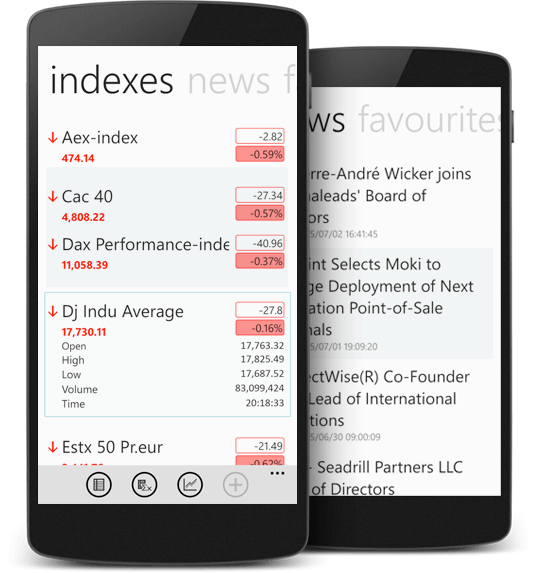 In a simple way you can check the main indices in real time, the most relevant economic news and your favorite assets. 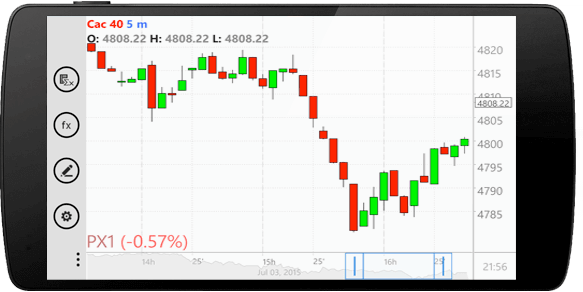 The data of the main financial markets is updated in streaming real time to keep you informed about what's happening on the markets. Thus you can visualize this information on sophisticated charts that can be represented with bars, candlesticks or as a line. You can also configure the compression and the scale to customize the information you work with. 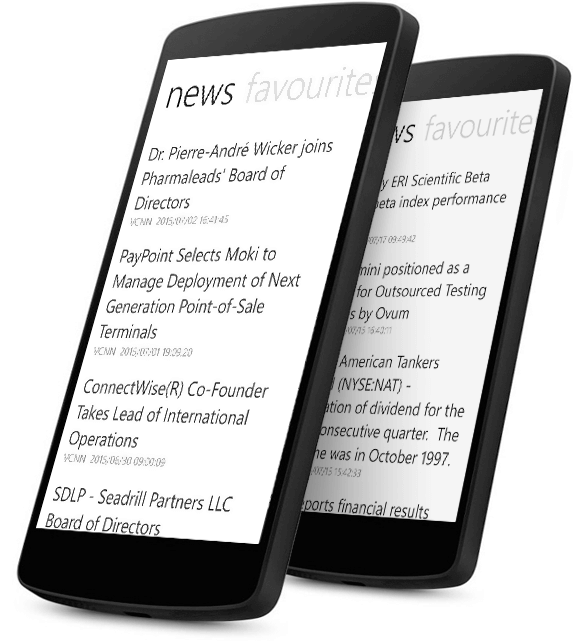 The quotes' lists offer a global vision of the assets that compose an index. You can see the last price, the difference respect to the last session's closing price, tha high and the low of the day or the accumulated volume of the day. With the charting analysis tools and a wide range of indicatores and oscillators, you can anticipate the market trends. The fundamental data that you can access in Visual Chart App will help you to determine the real value of an asset that you pretend to invest in. The main economic news of the day, available in Visual Chart App, will help you to make the most adequate trading decisions. How to obtain Visual Chart App? Download it for free in the Windows Phone Store and register in less than a minute.